Sueno Eiji sensei, hanshi hachidan is back in the UK and has taken us through two evenings and two long but enlightening days of instruction. The seminar evolved from a detailed look at suburi through to the best way to display you skills in grading examinations, but sensei’s overriding thesis was that kendo training should be a step-by-step process, based on getting each stage right before you move on to the next. He summed this up by expanding on his previous remarks ”that you can’t do keiko if you can’t do suburi” by explaining that you need to be able to reach a good level of men suburi before attempting tobikomi men drills in armour. You should be able to make correct single men strikes before moving on to making renzoku waza. Your renzoku waza should be correct before attempting uchikomi-geiko, which you should perfect before trying kakari-geiko and you should only go on to ji-geiko when everything else is correct. Once you have all of these points straightened out, you should keep them on track by spending 50 minutes of each kendo hour on kihon and the remaining ten on ji-geiko. Sensei’s most controversial point was that in suburi and uchi-komi our furi-kaburi (upswing) for men should not stop at the 45 degrees insisted upon by many other kendo teachers. Instead our hands should come back in a low arc past the top of our heads. He qualified this by saying that we should not bring them back to a point where he have to open our elbows, but that the swing should go back as far as it can while keeping the arms in correct cutting position. When asked why 45 degrees is still recommended by many teachers, his answer was that it was written down many years ago but had since been rethought about and that many sensei just keep quoting conventional wisdom. He quoted an example of the seminar held before the All Japan 8th dan Championships where every participant regardless of what he usually taught was bringing his shinai back past the 45 degree point in the warm-up suburi. Sueno sensei’s other repeated point was that you should relax your arms immediately after striking men, so that the shinai could bounce upwards, allowing your forward motion and following zanshin to continue smoothly. As he said himself, “there are many paths to the top of the mountain”. Many years ago I visited a new dojo in a fairly remote part of the UK and watched the only two members run through a two hour kihon geiko session, practicing almost every technique in the kendo repertoire. Both deserved full marks for stamina and memory, but I wondered how much benefit they were getting from the session. Almost every high level teacher that I have had the privilege of training with tends to tailor their training sessions around a particular theme, often limiting the waza taught to a very small number to ensure that they sink in. I have seen whole two day seminars limited to the correct way to strike shikake men; building up through static suburi to suburi engaging the feet, then including approach and seme, fumikomi and then zanshin. 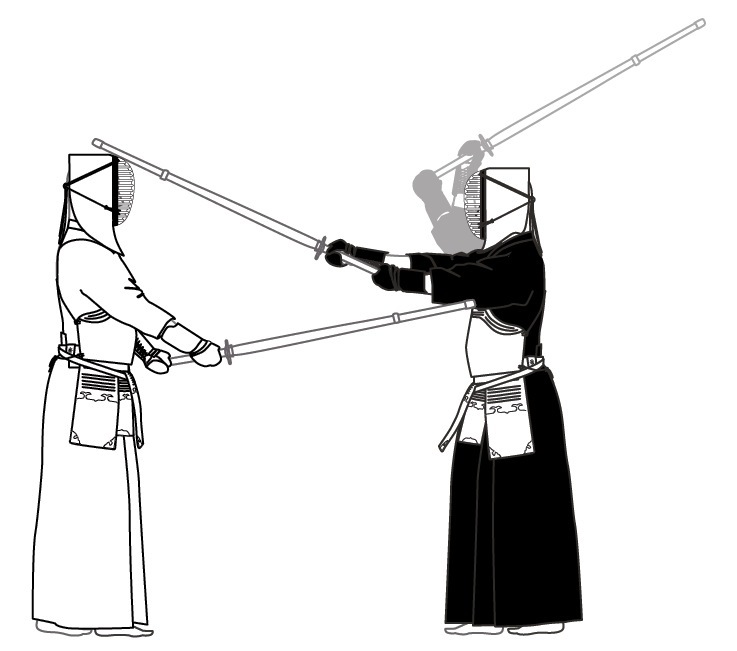 The correct way the use the grip or tenouchi to finish the attack crisply often warrants a teaching session in itself. In the eyes of some kendoka this amount of drilling down becomes tedious, perhaps it is because we should, and often do, devote large chunks of our training sessions to these basic elements. In other sports it is the serious perfectionists only who are aware of the value of breaking technique down to the smallest component part. Of the millions of amateur golfers, it is a few deadly serious players who take the trouble to take lessons from the club pro. These normally focus on the minute analysis and reconstruction of the individuals swing. We call it suburi. 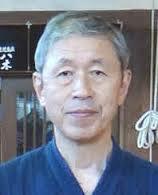 Most hanshi stress the value of correct suburi, Sueno sensei says if you can’t do correct suburi you can’t do kendo, Iwadate sensei focussed on big suburi to ensure that the cut is centralised; Chiba sensei regularly emphasised that 3000 continuous suburi a day were his path to success. I am as guilty as the next kenshi in not doing enough suburi. I normally practice a hundred or so as part of the warm up to each keiko session and include a few more in front of the mirror when I have the chance, but I am sure that including more suburi in my keiko would do nothing but good. Suburi is the foundation on which we can build strong kendo. Practising a kendo waza over and over again allows you to use it in keiko or shiai without thinking. If you then extend the suburi through uchikomi training with an opponent it becomes even more ingrained. So although it may seem tedious, constant repetition and attention to detail is the way to success. We are away on holiday at the moment and for some reason the TV in our room seems to default to NHK. We watched a programme about Japanese pottery and how both professional and amateur potters lose themselves in the process of its creation. 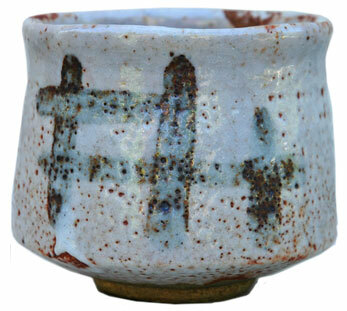 Reflecting on this aspect of the Japanese arts, pottery is far from unique. Painting, calligraphy, flower arranging, the tea ceremony and numerous other arts and crafts are as much about correct mental attitude as they are about the end product. The zen martial arts share this quest for mushin (the state of no-mind). Kyudo is perhaps the best example where the accuracy of the arrow is less important than the mindset of the archer. Kendo shares this vision, with kenshi aiming to produce the perfect waza at exactly the right moment, without relying on conscious thought or planning. This is more easily said than done. 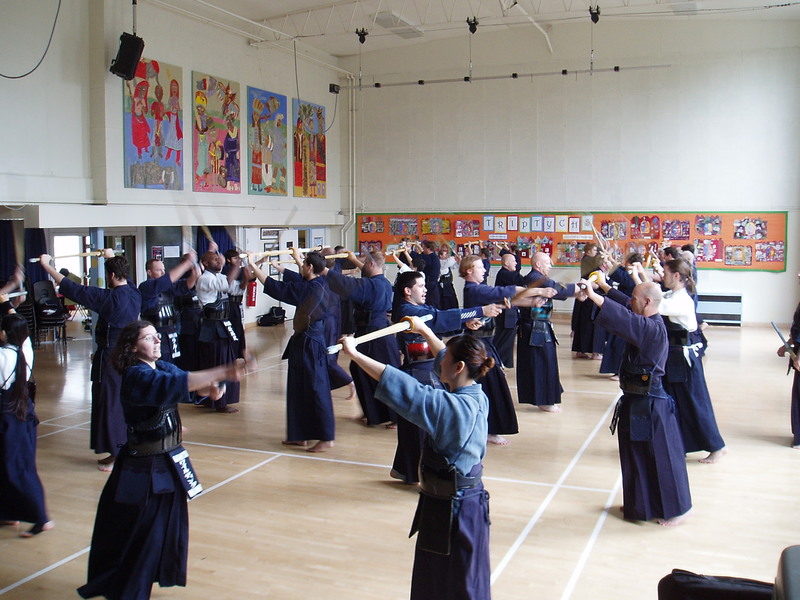 Most people learn kendo through instruction, imitation and repetition, but nevertheless need to think hard about the correct timing and opportunity to use a technique. Complex ojiwaza or renzoku waza require even more forethought. Whenever a kendo student receives new advice, even if it is a simple comment on the spacing of his or her feet or the height to which the hands should be raised prior to striking this causes a need for a major rethink. This is one of the reasons why I am reluctant to give anything more than tactical advice prior to a grading examination. The route to mushin does not come from thought and reasoning, it comes from constant repetition. I have mentioned on numerous occasions, both in this blog and in after keiko chats, that Chiba Masashi sensei used to practice a continuous set of 3000 suburi every day. Those of you who have attempted just a few hundred will appreciate the effort that this involves. As a result of this hard work, anyone who has ever seen him in action will be aware that the time it took for his shinai to move from jodan to his opponent’s kote did not leave time for thought.